Take a free Jelly Belly factory tour in Fairfield to see how these sweet treats are made. It's already March, and you don't have to break the bank to have a great time with the kiddos! 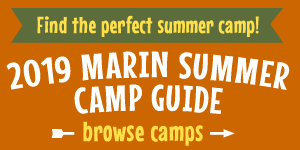 Here are 25 free activities and outings in Marin and the Bay Area this month. Keep in mind some of these activities require advance registration, so check before you go. Take a free Jelly Belly factory tour to see how these sweet treats are made, Fairfield, daily, 9 am–4 pm. Explore San Francisco History Days at the Mint, San Francisco, March 2 & 3, 11 am–5 pm. Celebrate Dr. Seuss Day, Belvedere Tiburon Library, Tiburon, March 2, 10 am–5 pm. Explore animals at the Headland Animal Adventure at Point Bonita YMCA, Marin Headlands, March 2, 10 am–noon. Admission to the de Young Museum and Legion of Honor Museum, March 5, 9 am–5:15 pm. Dinosaurs Rock will provide a variety of dinosaur fossils, Marin City Library, March 5, 4–5 pm. Get hands-on at the Bay Area Discovery Museum free day, March 6, 9 am–5 pm. Outdoor Movie Night, Top Gun, Gabrielson Park, Sausalito, March 8, 6:30–9 pm. Enjoy the music at Novato Live at City Hall–for all ages, March 9 & 23, 6–8 pm. Frogs, toads, salamanders and a waterfall hike, Nature for Kids hike, Novato, March 10, 10 am–1 pm. Take a winter waterfall family hike with the kids in Marin. Celebrate St. Paddy’s Day with Irish banjo and fiddle tunes, San Anselmo Library, March 14, 12–1 pm. Climb, swing and run at one of our 5 favorite playgrounds in Marin. Sing and Dance with Miss Kitty! San Rafael City Hall, City Council Chambers, March 15, 10:30–11:15 am. Learn how to Saltwater Fish at Paradise Beach Park, Tiburon, March 16, 10 am–noon. Gather around the campfire for stories, songs and a marshmallow roast, Petaluma Adobe, March 16, 5:30 pm. Explore, play and picnic at the Sonoma Square. Purim Palooza family carnival, Osher Marin JCC, San Rafael, March 17, 11:30 am–2 pm. Magician Owen Baker Flynn, Belvedere Tiburon Library, Tiburon, March 21, 4–5 pm. Craft-n-Create Family Maker Workshop, South Novato Library, March 23, 10 am–noon. Hike to a waterfall at Cascade Canyon in Fairfax, March 24, 10 am–noon. Experience the amazing bubbles of master bubblesmith, Sterling Johnson, Mill Valley Library, March 24, 11 am. Explore one of the many gardens at Cornerstone Sonoma, off Arnold Drive in Sonoma.